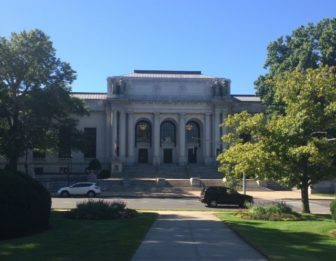 The state Supreme Court affirmed Monday that records of alleged misconduct by teachers at public schools and universities in Connecticut are public records subject to release under the Freedom of Information Act. In a unanimous decision by Justice Dennis G. Eveleigh, the state’s highest court rejected an effort by a former University of Connecticut Health Center professor to block the release of a report about allegations he was abusive to staff. Dr. Jay R. Lieberman, former chairman of orthopedic surgery, had asked the court to stop UConn from releasing documents related to another surgeon’s grievance that Lieberman was abusive to staff. Lieberman argued that the documents should be considered as evaluations, which are exempt from release. But the justices sided with the Freedom of Information Commission and a Superior Court judge. Both had ordered the documents’ release, concluding that the exemption covering evaluations does not apply to records of personal misconduct. UConn refused to release two investigative reports to Dr. Michael Aronow, the surgeon who filed the grievance. The American Association of University Professors backed making the material public, saying that UConn’s initial willingness to designate the investigative findings by the Health Center Appeals Committee as confidential personnel records was an abuse. The high court decision relied in part on its interpretation of the General Assembly’s intent. Eveleigh wrote the decision was consistent with prior rulings that assumed some “evaluative content” in a disciplinary record was insufficient to render it exempt from the Freedom of Information Act.